Congressional Republicans had spectacular failure last year when they tried and failed to repeal Obamacare. After years of hammering the law as a death knell to liberty, Republicans had to throw up their hands and walk away from a campaign promises that they had been flogging for years. But that’s hardly been the end of the attacks on the Affordable Care Act (ACA). In what may be the most drastic move to date, the Trump administration has decided it will not defend the law against a suit brought by Republican-controlled states that will end one of Obamacare’s most popular provisions: the ban on using pre-existing conditions as an excuse to deny coverage. The Justice Department made the extraordinary decision in a case brought by Texas and 19 other states. 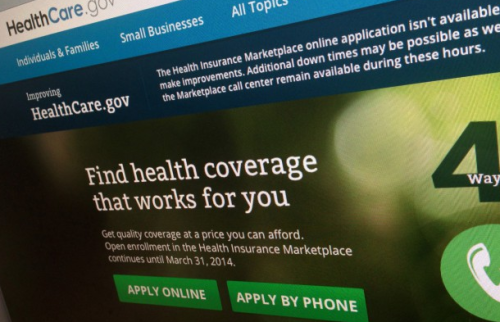 The suit argues that the individual mandate is unconstitutional, even though the Supreme Court specifically upheld the mandate, which requires all Americans to have coverage or pay a penalty, in 2012. The plaintiffs argue that because the mandate “isn’t constitutional,” the provisions pertaining to pre-existing conditions also need to go. The Justice Department says that it agreees. That would have a devastating impact on people with HIV. “The possible impact of this decision on people living with and affected by HIV is as immense as it is harmful,” AIDS United, an advocacy group, said in a statement. Before the passage of the ACA, insurance companies could deny applicants coverage if they had a health problem. If you had HIV, a health plan was within its rights to decide it didn’t like how much it would cost to cover you. The stories of how plans milked the pre-existing conditions clause are legendary. Obamacare did away with all of that–until now. The Trump administration has been steadily eroding the protections under the law. Earlier this year Health and Human Services (HHS) lifted restrictions on skimpy “short-term” plans, extending their coverage period from 90 days to a full year. The plans, which appeal to younger, healthy consumers, can deny coverage based on the applicant’s health. The administration has also given carte blanche to states that simply want to ignore the law’s provisions. For example, Idaho has instituted “freedom plans,” which allow insurance companies to charge people with health conditions more for coverage, something prohibited under Obamacare. While it will take a while for the current court case to wind its way through the courts, the Justice Department has sent a strong signal that it won’t interfere with states that violate the ACA. It’s yet another sign that the greatest fears people had about the Trump administration are coming true.